Welcome to March on Turner Classic Movies! The 31 Days of Oscar Festival came to an end yesterday, and it's now time to take a look at this month's schedule. The month starts in fine style as tonight kicks off the celebration of Ann Sothern as the March Star of the Month. Over three dozen Sothern films will be shown on Wednesday evenings, including a 10-film MAISIE series marathon on March 11th. Due to an unusually busy schedule this week, I'll be incorporating information on Sothern's films into this March Highlights post, rather than doing a separate Star of the Month post. As will be seen below, I've previously enjoyed quite a number of this month's Sothern films; there's great viewing ahead! Fun fact: This is Ann Sothern's second time as TCM's Star of the Month. She was also the SOTM nearly 14 years ago, in July 2001. The Friday Night Spotlight will be devoted to "roadshow musicals" of the '60s and '70s, hosted by Michael Feinstein. 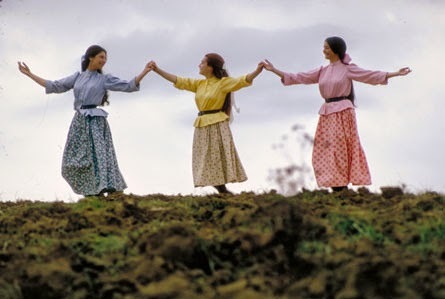 Some of these movies are very good (FIDDLER ON THE ROOF, showing March 6th) or underrated (FINIAN'S RAINBOW, March 27th); others are, shall we say, not so good. This topic recently inspired a book, ROADSHOW! THE FALL OF FILM MUSICALS IN THE 1960S by Matthew Kennedy. Below are just some of this month's highlights; click on any hyperlinked title for the related review. 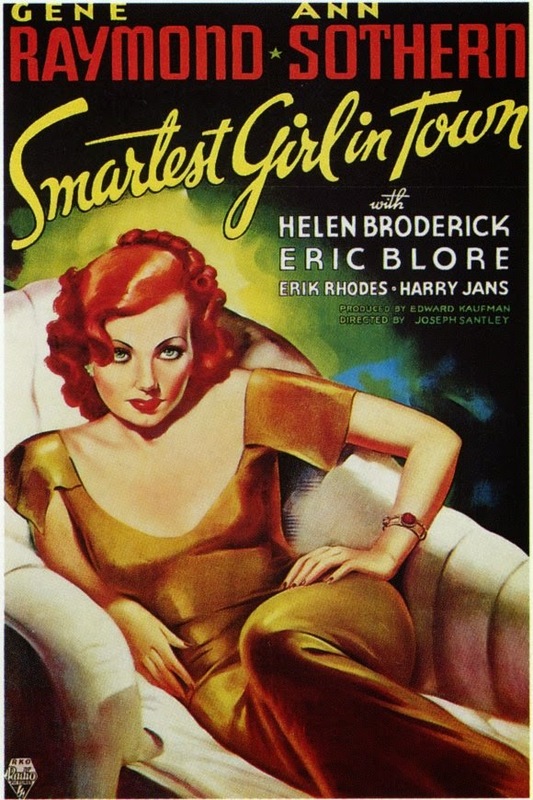 ...Tonight, March 4th, Ann Sothern month kicks off with several of the fun RKO musical comedies she made with Gene Raymond, including SMARTEST GIRL IN TOWN (1936), THERE GOES MY GIRL (1937), and SHE'S GOT EVERYTHING (1938). All of these movies are quite short, ranging from around an hour to an hour and fifteen minutes, and they're delightful entertainment with excellent supporting casts and the great RKO "look" of the '30s. Also slated for tonight: TRADE WINDS (1938) with Fredric March and Joan Bennett -- this is the movie where Bennett famously changed from blonde to brunette, and stayed that way for the rest of her career -- and BLIND DATE (1934), another very good film costarring Paul Kelly and Neil Hamilton. 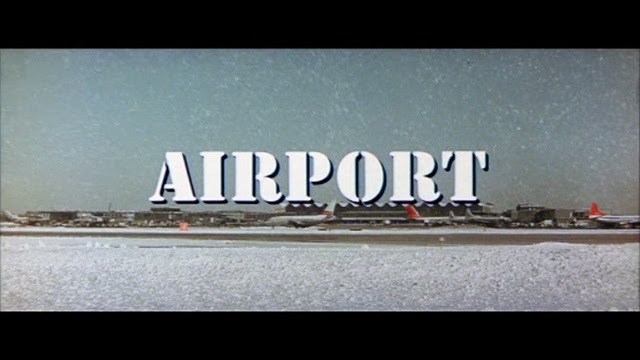 ...The snowy setting of AIRPORT (1970), showing on Thursday the 5th, makes it perfect "misery loves company" entertainment for viewers who've been buried in snow themselves of late! ...A Guy Kibbee birthday tribute on March 6th includes M'LISS (1936), also starring Anne Shirley and John Beal. It's based on a story by Bret Harte. 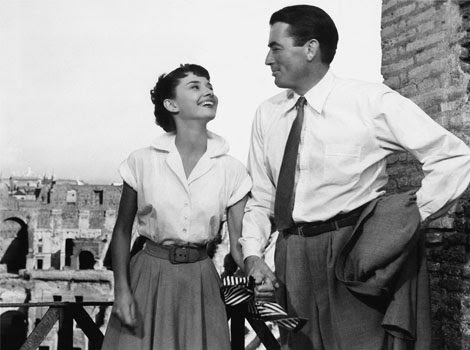 ...For those who want to escape thoughts of snow, why not take a ROMAN HOLIDAY (1953)? It's showing as part of the ESSENTIALS series on Saturday evening, March 7th. ...Silent Sunday Nights on March 8th features several Harold Lloyd shorts, all costarring his future wife, Mildred Davis: FROM HAND TO MOUTH (1919), HIGH AND DIZZY (1920), GET OUT AND GET UNDER (1920), and I DO (1921). ...Pregnancy is the theme of the day on March 9th, including the rather odd Loretta Young pre-Code LIFE BEGINS (1932) and Kay Francis in a pre-Code favorite, MARY STEVENS, M.D. (1933). ...The theme on March 11th is London mysteries, including Hitchcock's STAGE FRIGHT (1950), Lang's MINISTRY OF FEAR (1944), and Sirk's LURED (1947). These underrated titles provide some excellent entertainment. ...PICTURE SNATCHER (1933) is an entertaining James Cagney pre-Code showing on March 12th. It costars Ralph Bellamy and Patricia Ellis. 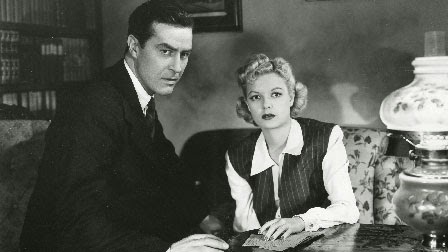 ...Ray Milland stars in the excellent crime thriller THE BIG CLOCK (1948) on March 14th. Charles Laughton and Maureen O'Sullivan costar in this film, directed by John Farrow. The sets are fabulous! THE BIG CLOCK inspired a loose remake three decades later, NO WAY OUT (1987) starring Kevin Costner. ...Sunday, March 15th is the second evening of the new quarterly series "Treasures From the Disney Vault" which debuted in late December. The evening's lineup will feature a St. Patrick's week showing of Sean Connery and Janet Munro in DARBY O'GILL AND THE LITTLE PEOPLE (1959), paired with the promotional short I CAPTURED THE KING OF THE LEPRECHAUNS (1959). Next up will be the Silly Symphony cartoon BABES IN THE WOODS (1932) and the short THE STORY OF THE ANIMATED DRAWING (1955). 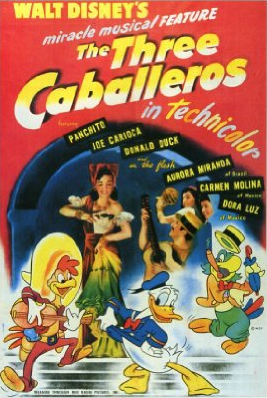 The Disney evening continues with Donald Duck in the classic THE THREE CABALLEROS (1944), followed by the documentary WALT AND EL GRUPO (2008), about the South American tour which inspired Disney and his animators to create both THE THREE CABALLEROS and SALUDOS AMIGOS (1943). The evening concludes with a lesser-known live-action film, THE FIGHTING PRINCE OF DONEGAL (1966). TCM did a wonderful job last December, with most of the films copresented by Ben Mankiewicz and Leonard Maltin, and this evening is sure to be special as well. ...Robert Osborne's picks on March 16th includes Clark Gable and Jean Harlow in CHINA SEAS (1935). 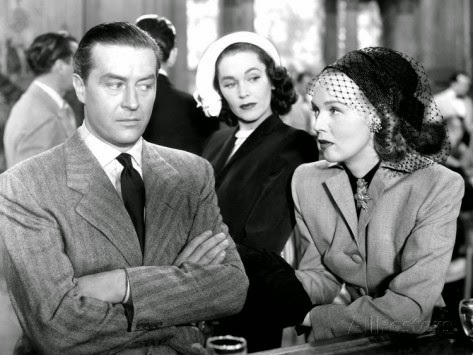 ...This year TCM has programmed a dozen films for St. Patrick's Day, including Dennis Morgan in MY WILD IRISH ROSE (1947), Ray Milland and Anna Neagle in IRENE (1940), and Fred Astaire in FINIAN'S RAINBOW (1968), which is also showing on March 27th. 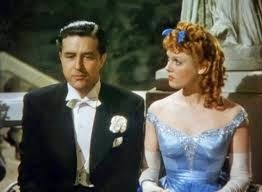 ...Ann Sothern night on March 18th: includes the MGM musicals NANCY GOES TO RIO (1950) and LADY BE GOOD (1941). THe pick of the evening is the charming WALKING ON AIR (1936) with Gene Raymond, which has a delightful score. This is one I'm hoping will be released by the Warner Archive sooner rather than later. 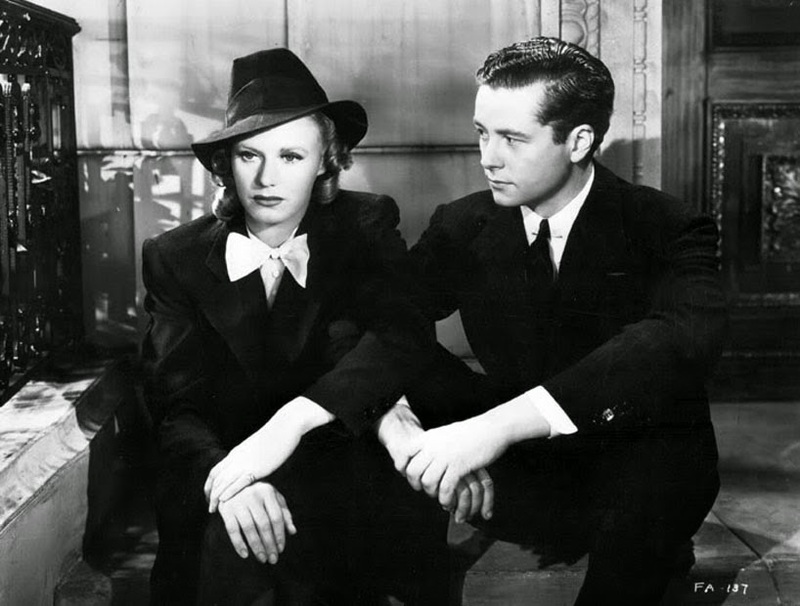 ...FIFTH AVE GIRL (1939) with Ginger Rogers is a film I really enjoy. When I saw it at UCLA a little over a year ago I wrote it "deserves to be better known." It will be shown on the 20th. ...I saw Bette Davis and Paul Henreid in NOW, VOYAGER (1942) for the first time recently and thoroughly enjoyed it. It's showing as an "Essential" on the night of March 21st. ...LOVELY TO LOOK AT (1952) is an MGM musical which might not be one of their best, but it's a personal favorite which is really entertaining, especially when Marge and Gower Champion take the dance floor. Howard Keel, Kathryn Grayson, Ann Miller, and Red Skelton costar. It will be shown on Sunday the 22nd. ...Joan Crawford's birthday will be celebrated on March 23rd with titles ranging from TORCH SONG (1953) to GOODBYE, MY FANCY (1951) to MILDRED PIERCE (1945), and a few other titles as well. ...A day of Cole Porter musicals includes several very entertaining MGM titles, including SILK STOCKINGS (1957), KISS ME KATE (1953), and HIGH SOCIETY (1956). To borrow from some other composers, "That's Entertainment!" 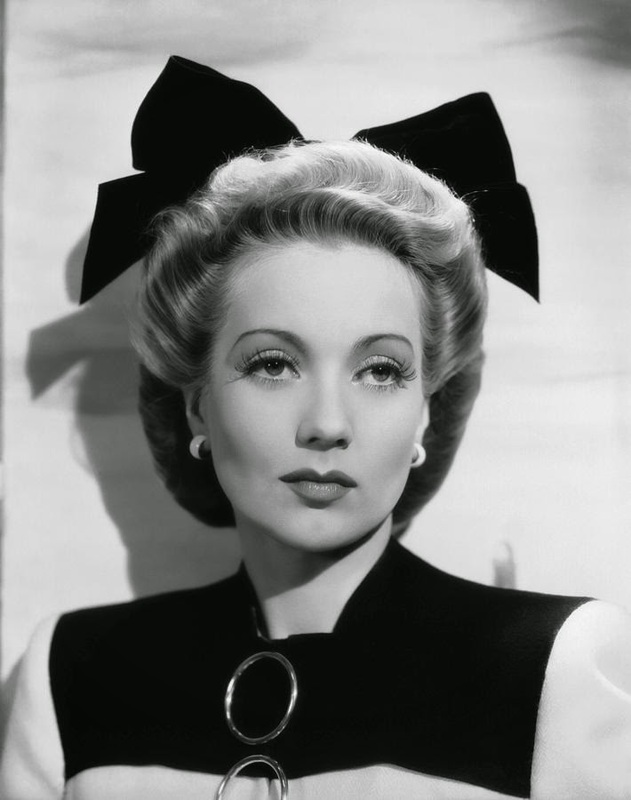 ...There's more great Ann Sothern on March 25th with a diverse grouping of movies including A LETTER TO THREE WIVES (1949), THE BLUE GARDENIA (1953), SHADOW ON THE WALL (1950), DULCY (1940), FAST AND FURIOUS (1939), and THREE HEARTS FOR JULIA (1943). I particularly liked SHADOW ON THE WALL, a murder mystery costarring Zachary Scott and Nancy Davis. ...TCM follows last year's evening of "Hammer Noir" with a sequel on March 26th. The British-made films with U.S. stars airing that night are HEAT WAVE (1954) with Alex Nicol, PAID TO KILL (1954) and THE GAMBLER AND THE LADY (1952) with Dan Clark, and Zachary Scott in DEAD ON COURSE (1952), which I reviewed under its original British title WINGS OF DANGER (1953). ...A day of "spring" movies on March 27th includes Maureen O'Sullivan, Lew Ayres, and Ruth Hussey in SPRING MADNESS (1938) and Yasujiro Ozu's EARLY SPRING (1956). ...Danny Kaye and Virginia Mayo star in WONDER MAN (1945) on the 28th. ...I recently saw Spencer Tracy and Hedy Lamarr in I TAKE THIS WOMAN (1940). It doesn't have a great reputation but I found it quite enjoyable. It's showing on the 29th. 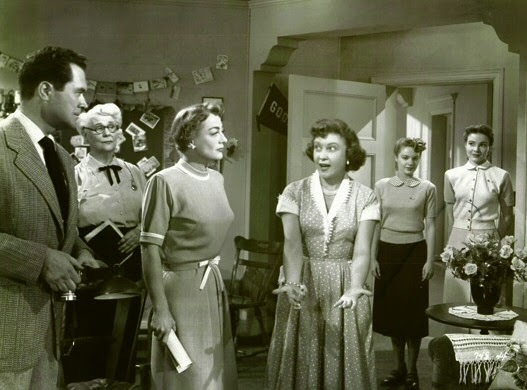 ...Anne Shirley stars in SORORITY HOUSE (1939) on March 30th, costarring James Ellison and Barbara Read. For more information on TCM in March, please visit the online schedule. Thanks for the run-down. I didn't realize "Lured" was getting a spot on the schedule. Love that movie. It feels like a bunch of my favourite people got together to make a movie just for me. I just saw Airport for the first time last weekend and loved it! Followed it up the next night with Airport 1975 which I also enjoyed! I've probably mentioned this before, but my mother often mentioned Roman Holiday as her all-time favorite movie. I really wish the Disney Vault series would include some material not available on DVD. Once again, I have all the movies, cartoons and shows featured. Caftan Woman, I enjoy James Ellison too. So glad you enjoyed AIRPORT! My favorite is AIRPORT '75. They're all fun, though! After one of the introductions to Disney cartoons last December, discussing some "problematic" elements but the importance of films not being suppressed, it made me wonder if Disney would allow TCM to show SONG OF THE SOUTH. We can dream.